PERFECTLY LOCATED in the heart of RYE seaside village. Relax & enjoy your one or two bedroom, self catering apartments, or King spa studios. All apartments have cooking facilities and overlook the central pool/BBQ area. The outdoor swimming pool is heated from September school holidays until May. All apartments have well equipped kitchens, spacious dining & lounge, flat screen TV's,DVD's and reverse cycle air conditioning. Free WiFi, via your laptop, will keep you in touch with the outside world, only if you wish. Our outdoor pool and spa is heated from Oct - April. Shade sails and umbrellas provide shelter by the pool. Free BBQ facilities are within the pool yard. Off-street parking is provided and complimentary laundry facilities for your convenience. 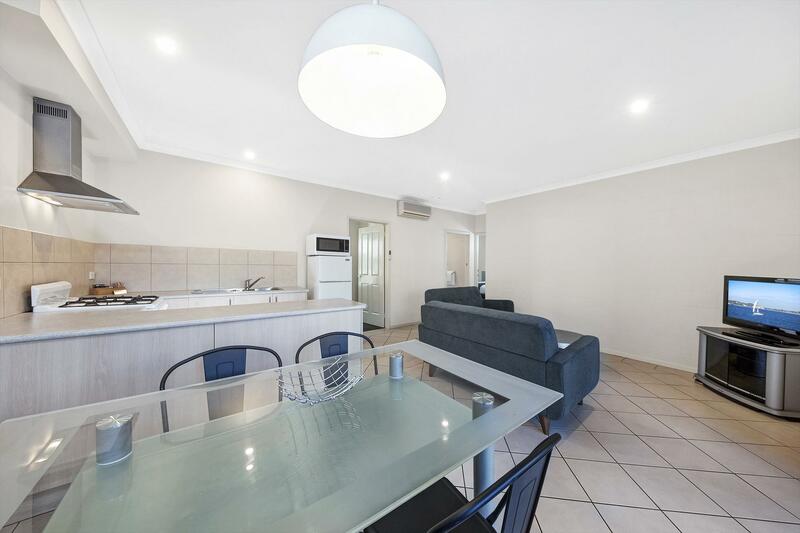 From our location in the heart of town, you may take a leisurely stroll across the street to the foreshore to reach the popular shallows of the bay beach. Explore the fascinating underwater world, snorkelling under the pier or scuba diving further out in the bay. 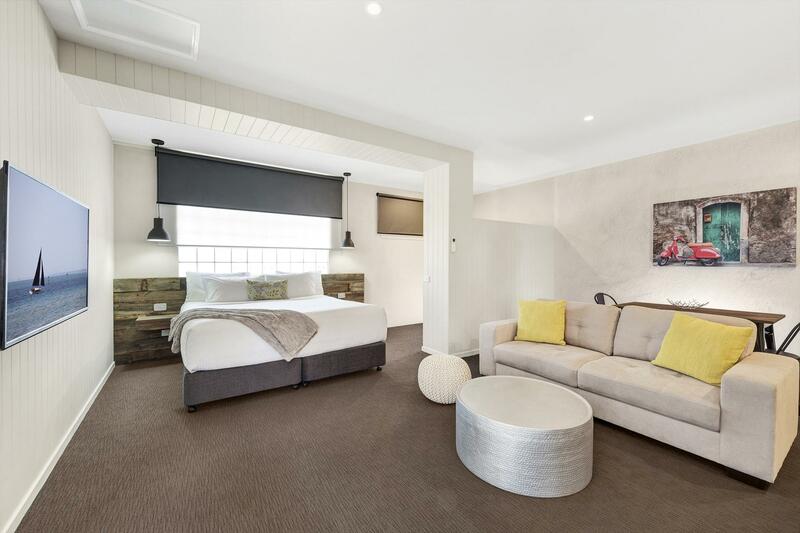 Rye Hotel, RSL Club, speciality shops, a variety of quality restaurants, snack/coffee bars and icecream cafes are all within 100 metre's stroll from Moonlight Bay's front door. Explore Rye Beach foreshore or head to the Back Beaches for some waves, or relax in the steaming hot baths at the Peninsula Hot Springs. Mornington Peninsula boasts "golfers' heaven" with over 20 sand belt golf courses, all within easy access. You'll love the wineries, breweries and produce in the hinterland region, farmers' markets, galleries, gardens, popular tourist attractions and more. Bushwalking at Cape Schank and Point Nepean National Park or Arthurs Seat all within a 15 minute drive. 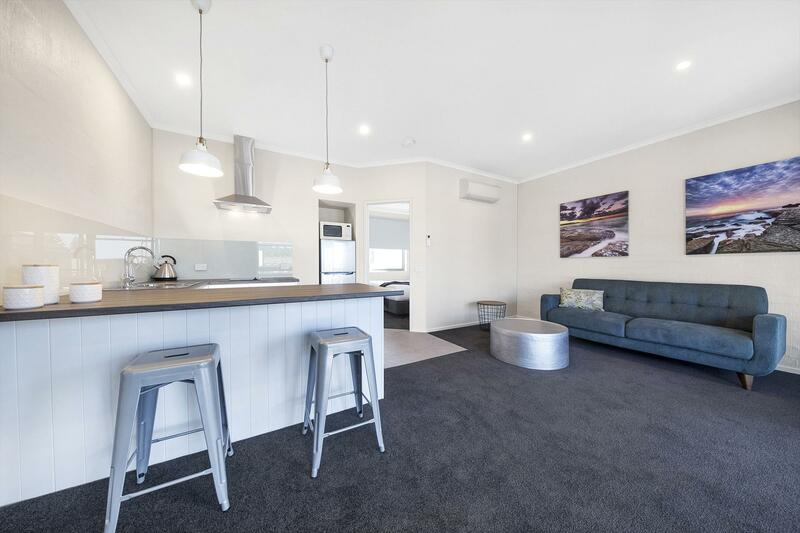 Families and couples can enjoy the convenience of our self catering apartments and easy access to explore, play or relax on the magnificent Mornington Peninsula. We look forward to making you welcome. Self-contained apartment with King or twin bedding configuration. Bathroom with walk in shower, kitchen (oven, cooktop, microwave & fridge). All basic crockery, cutlery and cooking utensils in kitchen. Living area with TV & DVD player, servery dining to seat 2 (additional chairs may be requested.) Comfortable sofa. Reverse cycle air conditioning. Portacot for an infant or fold out bed for extra child available at additional cost. Not recommended for extra adult. All rooms are upstairs, contact reception for ground floor options. Spacious and well equipped 2 bedroom apartments, fully self contained with king sized beds in main bedroom and 2 singles in second bedroom. Bedding configurations can be changed with prior arrangement eg: 4 singles or 2 king beds. Reverse cycle air conditioning. 1st floor bathrooms have large corner spa bath & separate shower. Ground floor apartments have shower over spa bath. Kitchens have 4 burner cook top, fridge, microwave. Not all 2 bedroom apartments have an oven. Crockery, cutlery and cooking utensils are provided. Living area has flat screen TV and DVD player. Lounge/living area with dining table that seats 4. Extra dining chairs can be provided upon request. Some apartments can accommodate a foldout bed; extra Adult $40 per night, Child 14 and under, $20 per night, infant under 2 yrs $10 per night. Please request at time of booking. Extra guests will be charged to your account. If climbing stairs could be a problem, please ask for ground floor apartments. Spacious 1 bedroom or studio style room with King bed. Ensuite has walk in shower and large corner spa. Kitchenette is self catering with 2 burner electric cooktop, fridge and microwave. Reverse cycle air conditioning. Crockery, cutlery and cooking utensils are supplied. Lounge/dining area for 2 people to enjoy the flat screen TV and DVD player. Portacot for infant or fold out bed for extra child can be included at an additional cost. Not recommended for extra adult. Our King Spa Studios are designed to accommodate couples. The Premium Spa Studio is a spacious, studio style apartment with large walk in shower and corner spa bath. 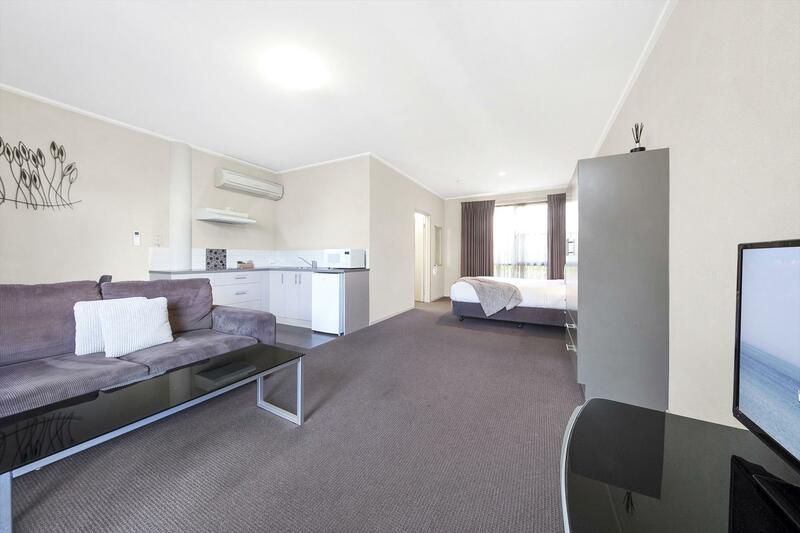 A well appointed kitchenette with electric cooktop, fridge, microwave and all you need for a self sufficient stay. A large lounge area and dining for two with flat screen TV and DVD player for your enjoyment, which can be viewed from the comfort of the King size bed. A portacot for an infant or fold out bed for a child can be included at additional cost. The premium Spa Studio is designed for couples. Cancellation Policy: If cancelled or modified up to 7 days before date of arrival no fee will be charged. If cancelled or modified within 7 days or in the case of a "no-show" the first nights accommodation is charged. Please note: At the time of booking the first nights accommodation is charged as a deposit to secure your booking.